Dr. Jodie Murdoch is passionate about health for the whole family. She holds a Doctorate of Naturopathic Medicine from Bastyr University and has an interest in primary care, women’s health, endocrinology (including hormone imbalances, thyroid conditions, infertility, diabetes), and pediatrics. Jodie practices medicine in an integrative manner, using both natural and conventional treatments. 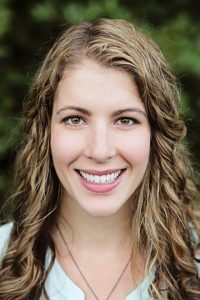 She is a member of the Washington Association of Naturopathic Physicians (WANP) and the American Association of Naturopathic Physicians (AANP). In her spare time, you can find Jodie cooking, practicing yoga, enjoying outdoor adventures in the Pacific Northwest with her new baby!